Today’s Friday Freebie is a sample version of my newest 35-page printable packet Making Faces. 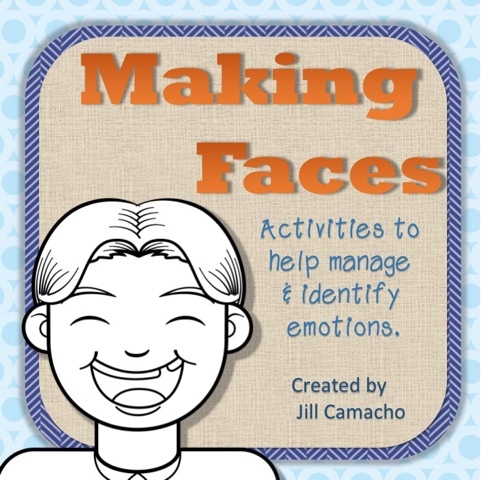 Making faces is a printable set of worksheets whose aim is to help children manage and identify emotions in themselves and in others. Looking for social skills books to read with your kids? Social skills books that highlight healthy friendships and positive social skills traits are a great (and super easy) way to work on social skills development with your kids. Whether you homeschool or not, whether or not they have special needs, all kids should be intentionally taught pro-social behaviors and social skills! If you need social skills worksheets and activities to add, stop by the store. Otherwise, just read on for 29 great social skills books for children young and old! Can homeschooling help my kids get along better? Will my kids get along better if we homeschool? Or are they destined for constant squabbles because they’ll be sick of being around each other all day? Will my kids get along? This was my number one fear. Or maybe one of my several number one fears… Was there anything I could do to help my kids get along?! It started at day one. The day I brought baby D home from the hospital, K took a nice sized chunk out of D’s rosy little cheek. Now, I think I know a bit more about what was at the root and will share that in just a bit. Author Jill CPosted on February 6, 2018 April 18, 2018 Categories Homeschool, Life skills, Relationships, Social skills, Tools and tips2 Comments on Can homeschooling help my kids get along better?